Algerian President Abdelaziz Bouteflika announced his resignation on Tuesday, weeks before his presidential term expires on April 28, official APS news agency reported. The Constitutional Council, however, is due to hold an urgent meeting to validate Bouteflika's resignation before making it official, APS said. 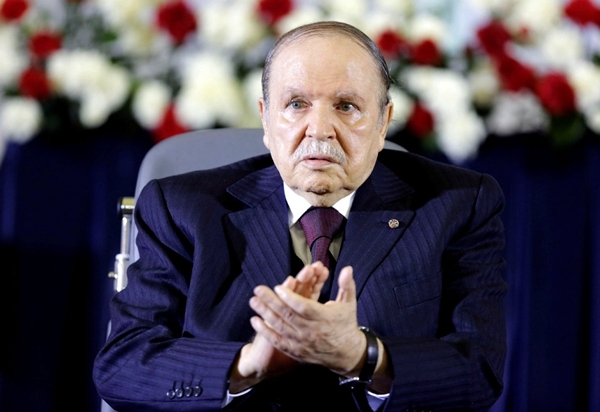 First elected to the presidency in 1999, Bouteflika was re-elected in 2014 for a fourth five years of term. When Bouteflika announced his decision to seek a fifth term in February, mass protests erupted across Algeria demanding his withdrawal of this decision.